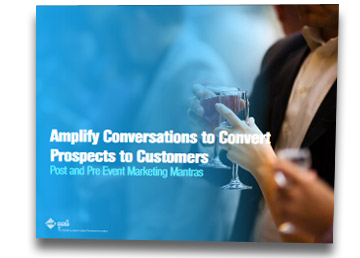 Download our guide Post and Pre Event Marketing Mantras to effectively promote your event to the right audience. To capitalize on all your marketing efforts, focused attention should be given to Post and Pre Event Marketing Strategies by following a set timeline and logical sequence of concepts. © 2017 Lake B2B. All Rights Reserved.